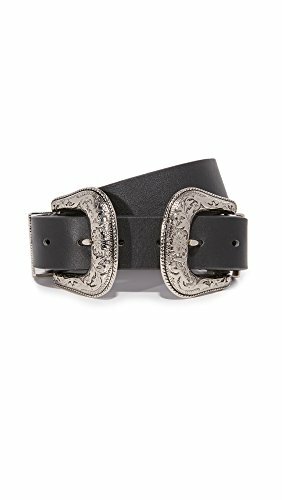 A double-buckle design on this statement-making B-Low The Belt belt provides vintage charm with a modern twist. Antiqued silver-tone hardware and a floral motif. Adjustable length. If you have any questions about this product by B-Low the Belt, contact us by completing and submitting the form below. If you are looking for a specif part number, please include it with your message.